I feel like I can’t get through a week these days without talking about planters in some form or another – whether they’re to buy or to DIY. But I couldn’t resist (at least) one more planter project for spring. 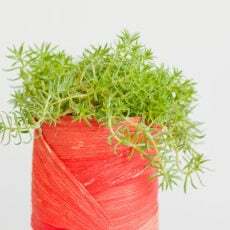 Especially because this one is just as easy as the hanging planter project that so many of you loved. AND it involves making something old new again, which I’m also pretty partial to these days. 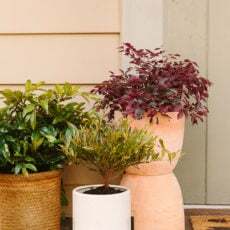 I teamed up with Rust-Oleum to share my rusty planters and how I made them new again with Rust-Oleum Stops Rust Protective Enamel spray paint. Bonus! These little guys fit right in with a contest the brand is kicking off that you might want to take part in too. It’s DIY related of course and you can win some awesome prizes. 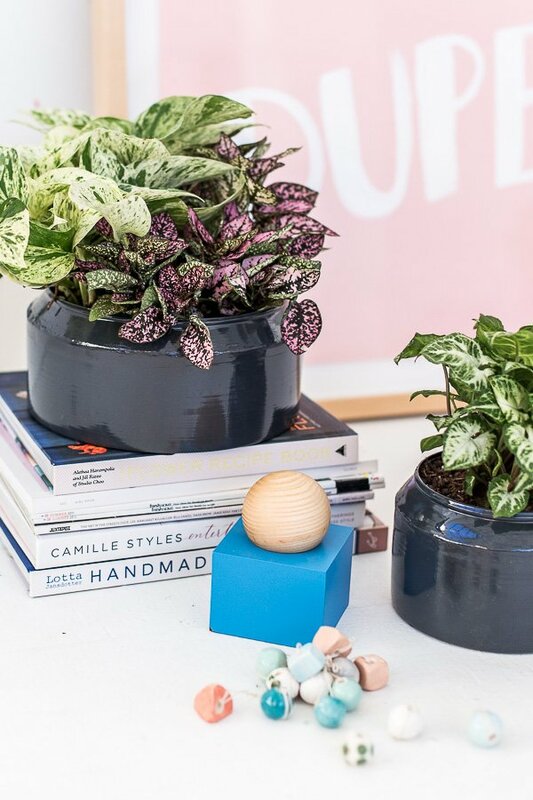 Click through for all the contest details AND my before and after makeover for an old set of planters that needed a reboot. 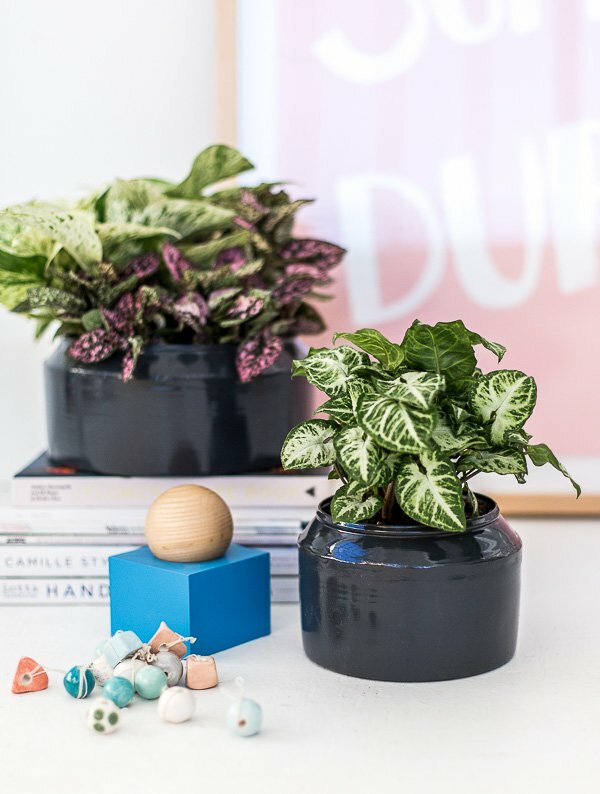 I loved the shape of these metal planters from the start, but was not a fan of the finish. I’m not really an antiques kind of girl (unless we’re talking mid-century, than I’m totally in), so I cleaned up the look of the planters with a little spray paint! 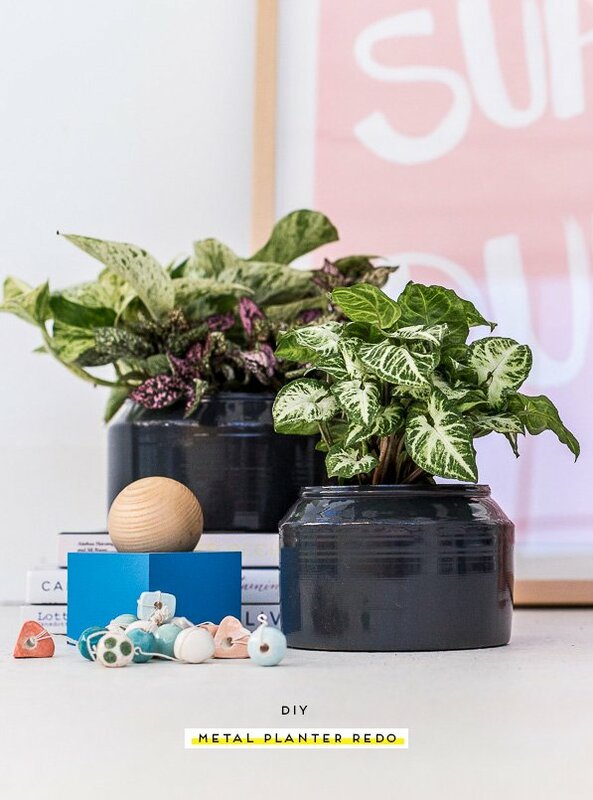 The end result is much more in line with my style – clean / minimal and lets the plants be the star of the show. All I really had to do was clean them up to remove any caked on dust, debris, and dirt. Then, I added a coat of Rust-Oleum Stops Rust Protective Enamel spray paint. 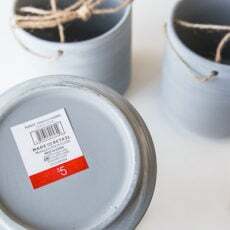 This product is great for old metal pieces, especially since (like it says in the name) the spray paint itself actually stops rust from forming on metal surfaces with it’s durable, corrosion-resistant finish. It’s the #1 rust-preventative paint on the market. The color I used for all of the metal pieces is called Gloss Deep Slate. The gloss finish creates a pretty shiny finish – the light reflects off of it a lot (which you can see in the photos). But there are plenty of other color options and finishes too, if this one isn’t your thing. Flat Red Rock and Rich Jade are on my list to try for next time. Have a metal project of your own that could use a fresh coat of paint? Be sure to enter your projects into the Rust-Oleum #inwiththeold contest. 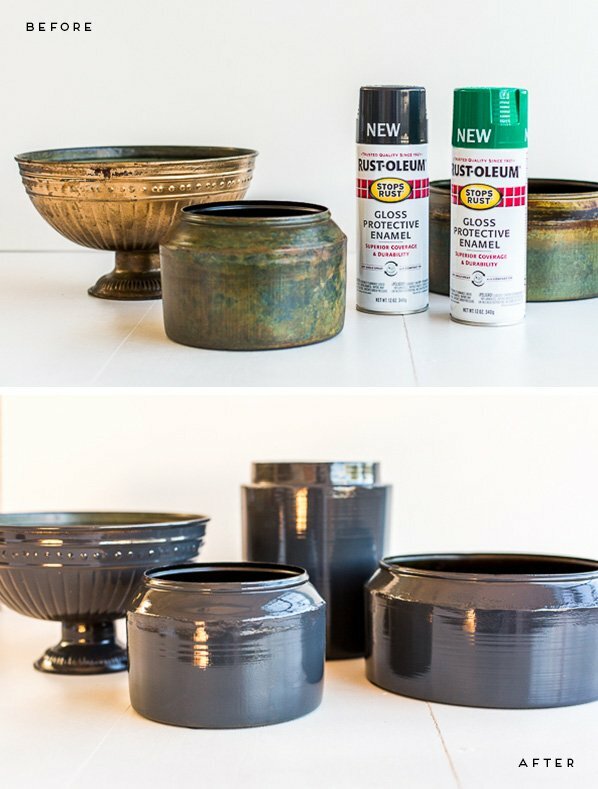 Here are the details…Take your old stuff from rusty to relevant with Rust-Oleum Stops Rust! Show it off on Instagram or Twitter and caption it with #inwiththeold and #stopsrust for a chance to win new colors and finishes for your next project PLUS a $100 gift card to the Rust-Oleum retailer of your choice. See inwithtold.com for rules. What do you think of the transformation? Do you have any metal pieces like mine that could use an overhaul? 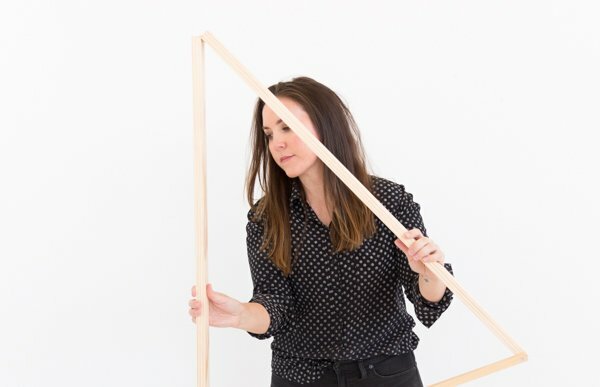 This post is in partnership with Rust-Oleum. Thank you for supporting the brands that help keep Paper & Stitch running. Honestly, if I paint anything black or gold metallic, it makes it look 10x better haha. I love the Rustoleum tip…never knew! So cute! I love this idea so much!! Love how stylish and beautiful these are! They really compliment the greenery. 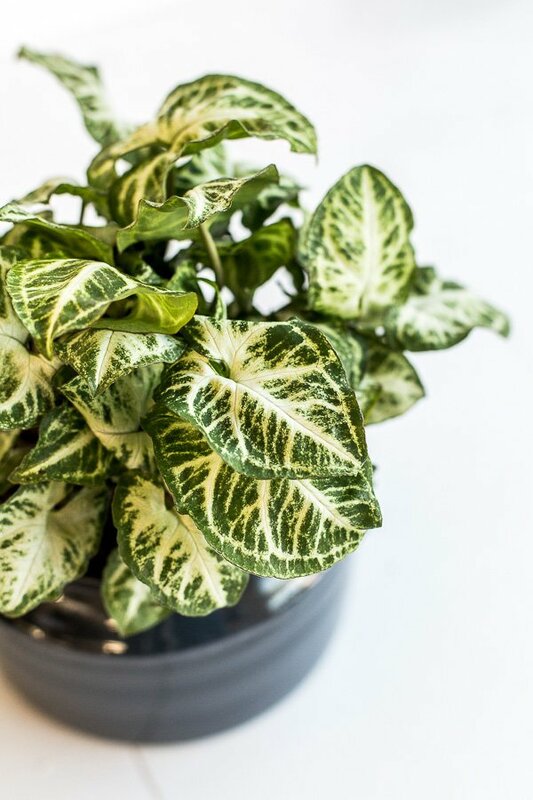 Can you share what the lovely plant varieties are? I like how it turn out did not expect how beautiful shiny metal planters would be.Good job!